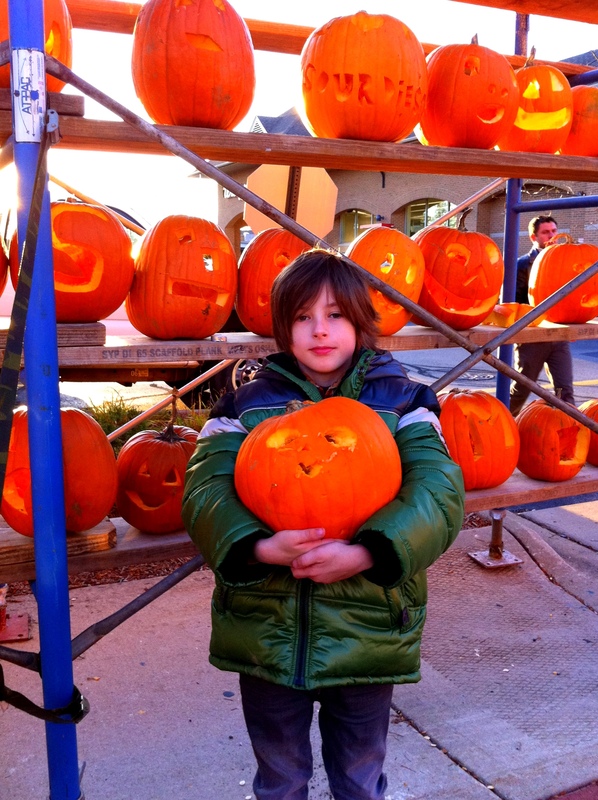 Me and my 8yo did our bit to make pumpkin carving history in a Chicago suburb last week. Apparently a staggering 30,919 pumpkins were carved and lit (a handful by us) which would mean an entry in Guinness Book of Records no less! Since I can’t make my eye balls pop out or swallow razor blades for that matter, this is the closest I will ever come to feature in that fabulous book.